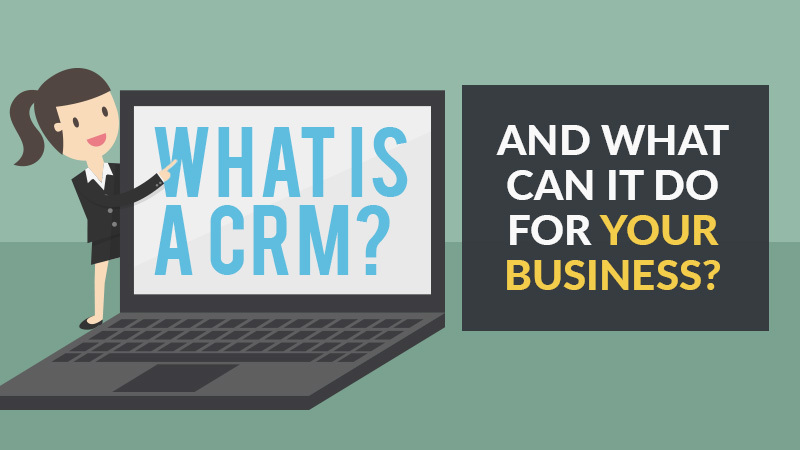 What is a CRM and what can it do for your business? You might not have ever used a CRM before however we’re quite sure you would’ve heard the term loudly very recently, especially due to the new GDPR rules coming into force next month. You may also be aware that many companies, including your competitors are implementing CRM software because it saves time and drives growth. A CRM solution system brings all information into one central place. The customer’s complete history with your business exists alongside a list of your opportunities, emails, notes, marketing analytics and appointments, available from a single interface. A CRM is therefore the one-stop shop for your sales teams. It can be the difference between winning an opportunity or losing it. It can also be your gateway to increased sales productivity, healthier pipelines and better coordination between (and beyond) teams. 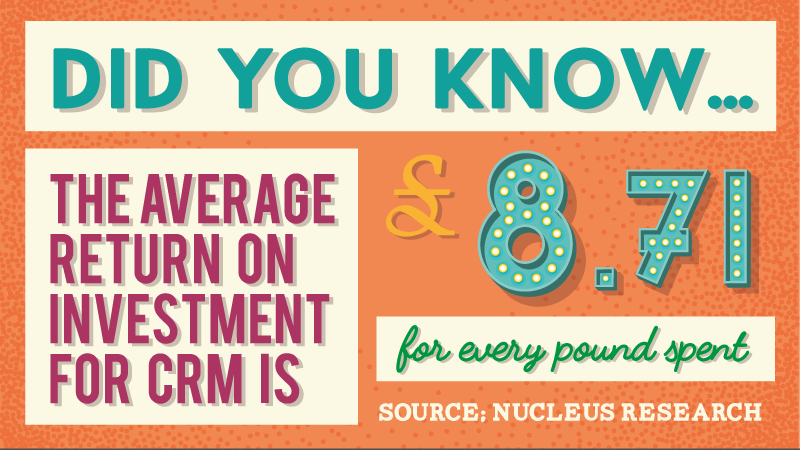 But at its core, CRM software helps you build lasting relationships with your customers. Previously only big companies could afford CRM software which was mostly over-complicated and really hard to learn, spending £1000’s on support, training and implementation. Today, businesses of all sizes, even self-employed, have access to easy-to-use, affordable CRM software options. In this blog we’ll explain the value of CRM, what it can do for your business and what to consider when evaluating different products. Spreadsheets are hard to update, interpret and keep in sync with business changes. Valuable customer information is hidden in your employee’s inboxes. Customer history and communication is inconsistent between your employees. The problem is that most of your important data is spread across multiple platforms and people making it very difficult and time consuming to find vital information and collaborate within sales. This is exactly where using a CRM comes into play. Collaborate all your data into one easy-to-access location. A CRM centralises your customer data so that everyone at your company can access all the information they need from one platform. Contact information – Looking up customer email addresses, phone numbers, websites and important notes or emails. Communication history – Track all interactions through email, phone calls, event’s and meetings. Customer history – A place to reference the length of customer relationships, purchasing history and feedback from customers. Having to do tons of manual data entry is one of the biggest productivity-killers for sales professionals. Using a CRM automates many of these repetitive, tedious admin tasks so your sales team can spend less time typing and more time selling. Using a CRM also helps you build a standardised sales process. This will give you a step-by-step workflow on closing opportunities and helps to reduce the length of your sales and customer service cycle. A sales process provides the information you need to identify the root cause of delayed deals, take steps to address these problems and make sure your team focuses their efforts on the activities that generate the most revenue. Having a more accurate idea of your win rate allows sales managers to forecast how many sales their team will close from a given number of leads, calculate a conversion rate and set realistic goals. A standardised sales process makes training new sales people fast, simple and almost idiot proof. If you can show your new salespeople what they need to do at every stage of the sale, it will make an immediate impact once they learn the basic steps in your sales process. If a sales person rushes a prospect into a sales stage it can kill the opportunity and damage the relationship with your business. A sales process ensures that sellers don’t step too far forward until the prospect is ready to move forward. By having access to information on customers buying history and enquiries, your sales team can pursue the right opportunities at the right time or even collaborate with your marketing team to deliver targeted and useful content to your audience. Selling then becomes a more personalised experience that’s focused on the customer. CRM data also helps you predict your customer’s needs before they even make you aware and the service team can keep your customers happy by solving their problems as soon as they arise. Now that you’re aware that a CRM brings a huge amount of value to your business, it’s time to start evaluating your options and learn if SET is a good fit. Try SET FREE for 30 days or reach out to our CRM expert Heidi Lavery who will be happy to answer any questions about how SET could drive the growth of your business.